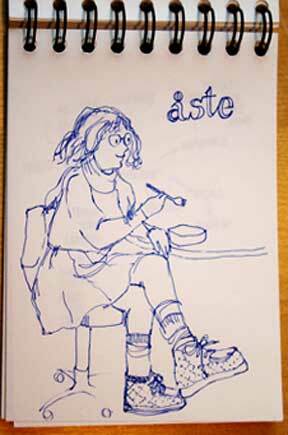 This is my classmate Åste, and on her feet, are these lovely quilted shoes that she took from her mother, who lives in Norway. Soo, won’t you colour them shoes? You even gave her all her style.